What’s Longer Than The Shake Shack Line At Citi Field? Like this, plus 26 million more. According to SEC documents, holders of 5.12 million shares of restricted class A common stock have filed to sell their stakes. 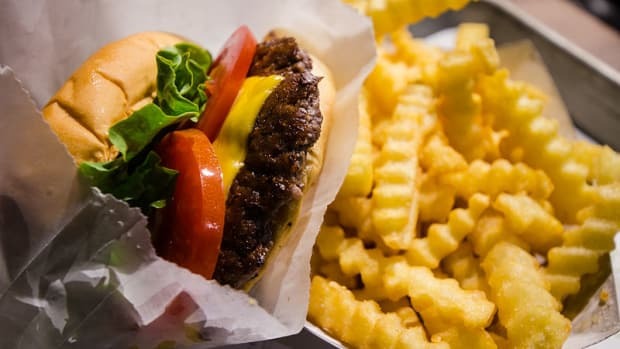 Also, Shake Shack is converting all of its 21 million class B shares into class A shares, a move that enables early investors such as Leonard Green, the company’s top shareholder, to head for the exit less than 10 months after the company’s initial public offering in January…. This is the second such sale since the July 29 lockup expiration period, suggesting a lack of confidence, especially given the stock’s expensive valuation. Steven Russolillo is not thirsty for them shakes. Who Should Throw Out The First Pitch At Citi Field?